Rocket engineer Gou Chongsin is so well known in Taiwan that the band Mayday wrote the song “Tough” about him. 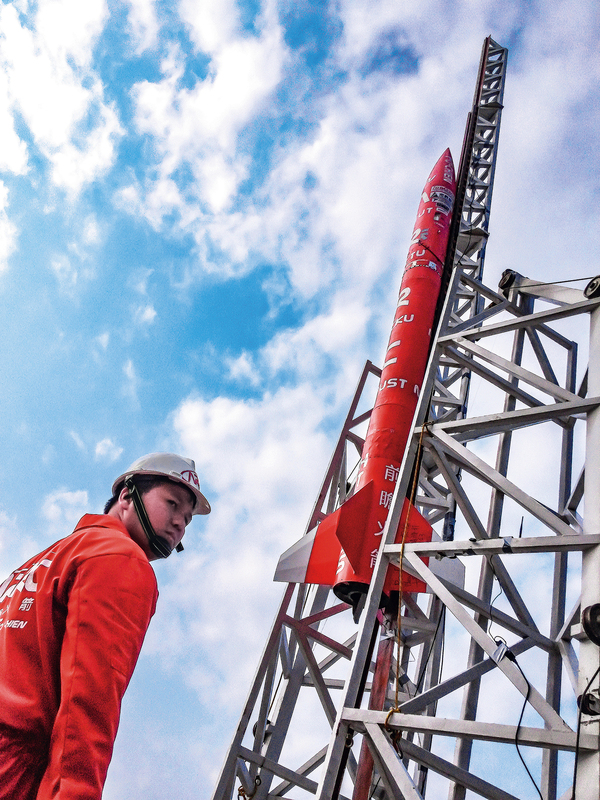 Taiwan’s dreams of space took flight in 2010 when his Advanced Rocket Research Center carried out Taiwanese academia’s first test launch of a hybrid-propellant rocket, the HTTP-1. More than 400 people gathered near Hsinchu’s Xiangshan Wetlands in early December 2018 to watch the Advanced Rocket Research Center (ARRC) test one of its rockets. Much to ARRC’s surprise, another 3,000-plus people watched the event live online, and a further 70—80,000 streamed replays of the launch over the next eight hours. Seeing the orange rocket fire its engines and shoot straight into the sky trailing a plume of white smoke was an emotional moment for ARRC’s Gou Chongsin, who remarked: “When you see a Taiwan-made rocket take flight, you become Taiwanese.” Gou explains that ARRC isn’t developing rockets to write research papers and advance academic careers, but out of a sense of patri­otic duty. Gou’s life has followed a trajectory similar to that of many other people working in high tech. 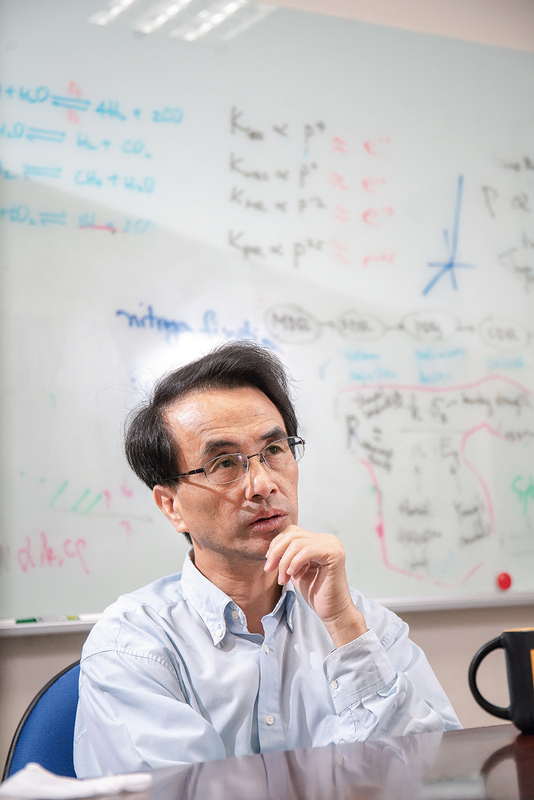 He did well in school as a child, earned a master’s degree from the Department of Mechanical Engineering at National Taiwan University, and then went on to obtain a PhD in aerospace engineering in the United States. While in the US, he became friends with other students who shared a “Taiwanese” consciousness and were resolved to put their degrees to work for Taiwan if the opportunity arose. They got their opportunity many years later. When Taiwan’s government initiated a micro-satellite program, Gou and Academia Sinica academician Lin Ming-chang asked Chen Yen-sen, who was then working in the US, to come back to Taiwan to run it. Gou then also joined the project. When the program was abruptly terminated, Gou and his old friends realized they had the expertise to build a rocket themselves. “We would have been ashamed of ourselves if we hadn’t,” jokes Gou. 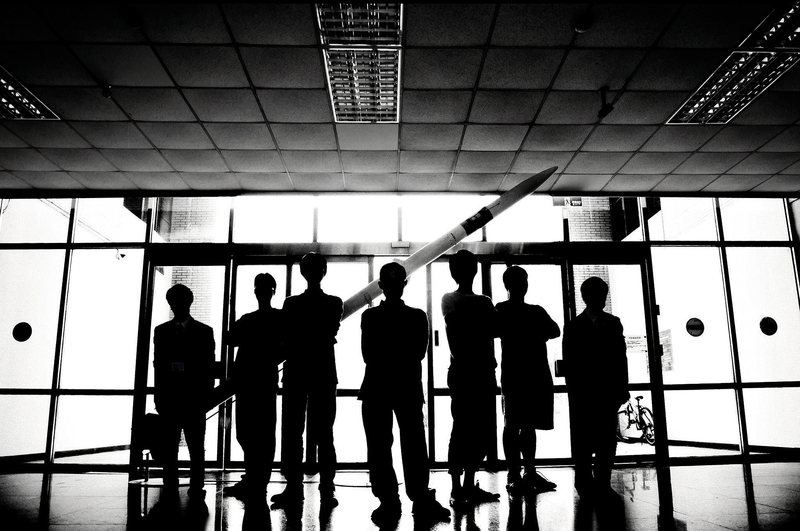 He, National Taipei University of Technology’s Lin Hsin-piao, National Chiao Tung University’s Chen Tsung-lin, National Cheng Kung University’s Ho Ming-tzu, National Pingtung University of Science and Technology’s Hu Hui-wen, and their students began working on the project, and formed ARRC at NCTU in 2012 following an injection of private capital. In 2015, Lin Tahan, CEO of the crowdfunding consultancy Backer-Founder, helped ARRC undertake a public offering. During the run-up to the offering, Gou traveled the length of Taiwan giving presentations, speaking about ARRC’s team, how rockets are built and generate thrust, and future applications for ARRC’s rockets. He ignited Taiwanese enthusiasm for rocketry, showed us a route to a universe we had never imagined, and dared us to dream of space. 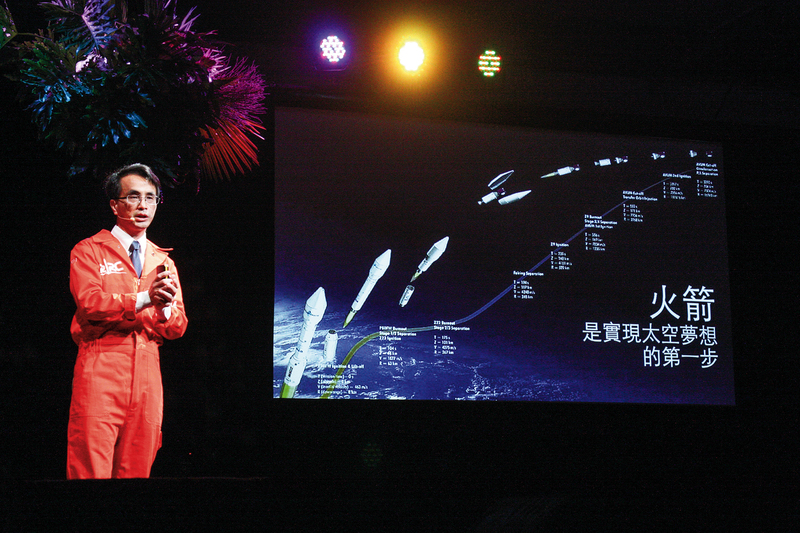 Gou also gave a TEDxTaipei talk at which he described rocket thrust and the future space economy in a homey-feeling Taiwanese interspersed with English. Even knowing that his talk would get more views on YouTube if he delivered it in Mandarin, Gou chose to speak in his native Taiwanese, becoming the first TEDxTaipei presenter to deliver a talk on technology in Taiwanese. “We will never give up. We’re going to leave the Earth!” Gou’s conclusion to his TEDxTaipei talk sounds simultaneously comical and determined. ARRC has developed two rockets so far. The APPL is a small rocket used used as a verification platform for larger hybrid-propellant rockets. It is fueled in part by a solid propellant made from sorbitol, potassium nitrate, and iron oxide. The HTTP, which is named with the initials of the locations of the four universities involved with ARRC, is a hybrid-propellant rocket, which offers safety and cost advantages. The company’s goal for its first difficult decade is to create a rocket that can put a satellite into orbit, so that Taiwan will have autonomous launch capabilities. Right now, only nine or ten countries and regions possess the capability to send satellites into orbit on their own rockets. Given that technological progress has resulted in smaller and smaller satellites, and that low-orbit and super-low-orbit satellites are being developed, ARRC believes that the hybrid-propellant rockets of the type it is working on are very likely to become mainstream and highly marketable. As an additional bonus, Taiwan’s rocket R&D should spawn wide-ranging derivative applications that will help lead Taiwanese industry into the future. Gou’s career changed course in 2015. 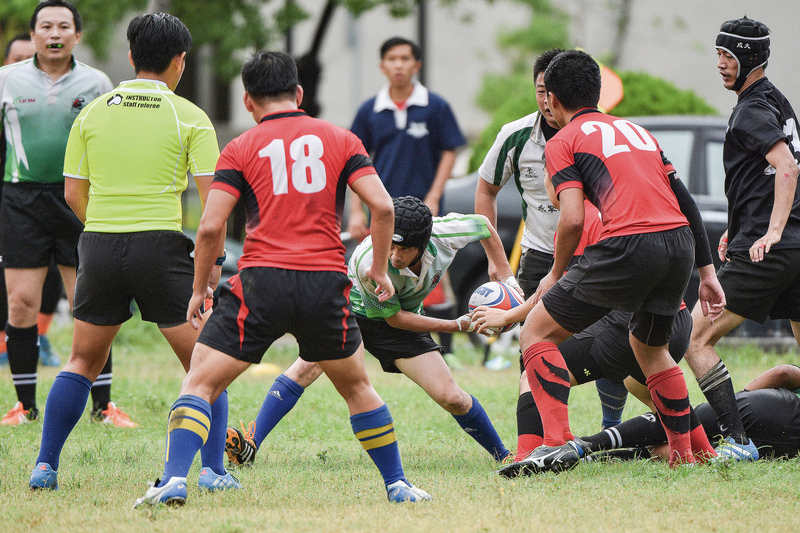 Even though ARRC had successfully launched the HTTP-3S, a 6.3-meter-tall, 40-centimeter-diameter, 320-kilogram rocket in 2014, it was on the verge of losing students who had been on the team for more than ten years to graduation and the job market. 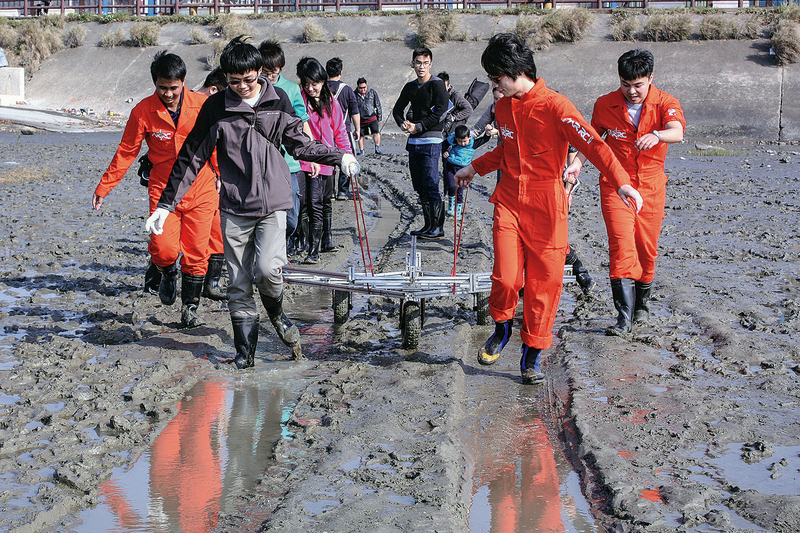 Gou was concerned that Taiwan’s lack of a rocket industry would result in these students going to work in other fields, and that their skills would not be passed on. Believing that ARRC’s work was pointless unless it could be commercialized, Gou decided to look for opportunities in the business world himself. Early one morning, the lab staff check over their launch equipment, then drive it along a rugged mountain road to a deserted test site near Hsinchu County’s Baoshan Reservoir. 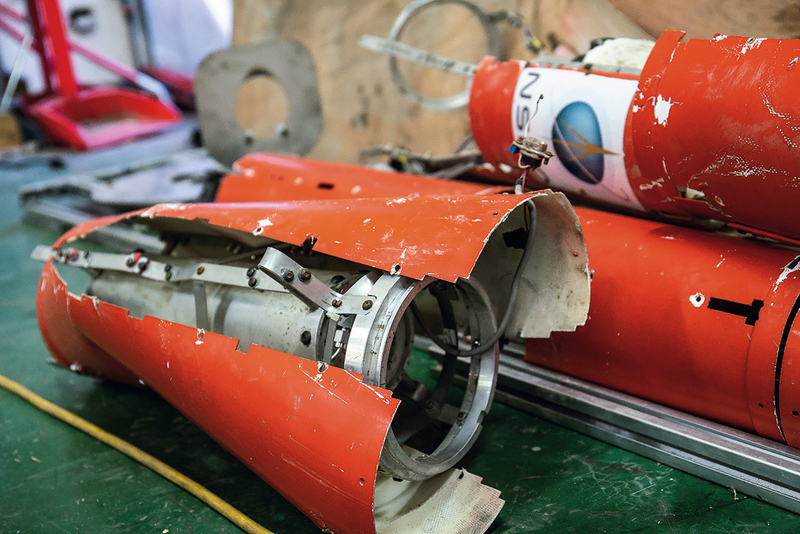 Led by PhD student Wei Shih-sin the test team assembles the components, mounts the engine, and ignites the trigger. Their first test is of a solid-propellant thruster. Research assistant Zhang Yuwei explains that they are testing the configuration of the fuel inside the engine to find the one that yields the largest combustion area. The second test involves a hybrid-propellant engine, which is much more complex and takes nearly an hour to put together. When a component fails during assembly, the team spends a long time getting the test back on track. With each step and screw being vital, there is no room for carelessness. When Gou gave his TED talk, he quoted John Lennon: “A dream you dream alone is only a dream. A dream you dream together is reality.” I’d like to thank ARRC for sharing its dream with Taiwan, and giving us the courage to dream, to imagine that space isn’t really that far away, and to reach for the heavens.